The Fourth Frog Blog: You like me! Sounds like it was a great day!! And well deserved! I'm glad you felt so loved. And how thoughtful of the bill collectors to call. They must like you more than us. They don't even wait til our b-days to make it special. Sharon - Let me clarify. Dh did not bake a cake for me. He bought it. 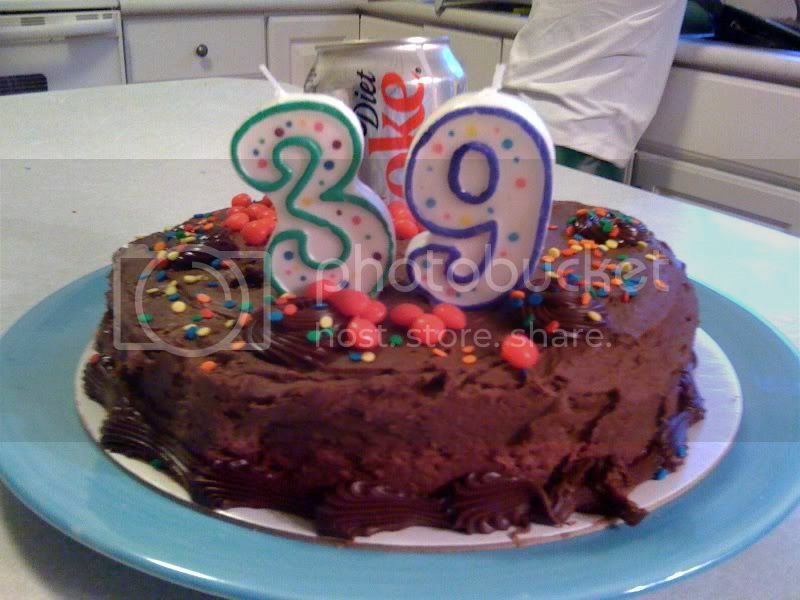 But then he bought the 3-9 candles and put the Diet Coke can in it. He even thought to put the can in a cupcake wrapper and then filled in the area of the indents w/red hots. It was awesome. I bet your dh could handle that. Happy belated! Wow your are diet coke obsessed, huh? I prefer diet coke too!